The Joint Admission and Matriculation Board, JAMB has published the list of CBT centres that have been suspended for 2019 UTME, please find the full details below. 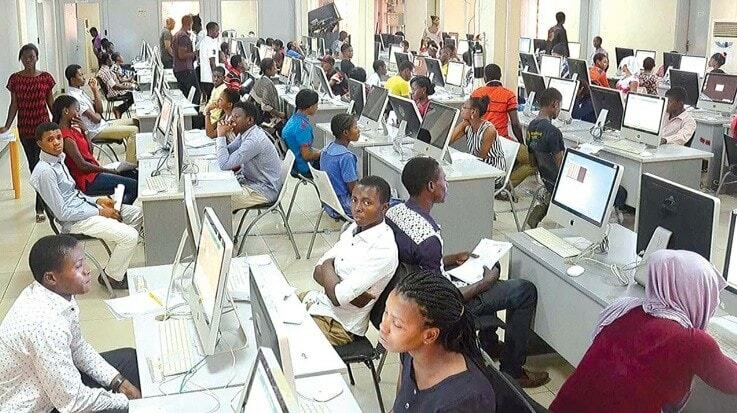 The board has published the list of JAMB CBT centres that has been blacklisted from participating in the 2019 UTME registration or offer any form of JAMB services to UTME candidates all through 2019/2020 academic session. Therefore, candidates are advised to ensure they do not use these blacklisted JAMB CBT centres to process their registration or any JAMB related service as it will not be recognized by the board (JAMB). See also: JAMB 2019 Registration is still on.